Personalise this silver plated Heart Cake Knife with any message over 2 lines and up to 30 characters per line. 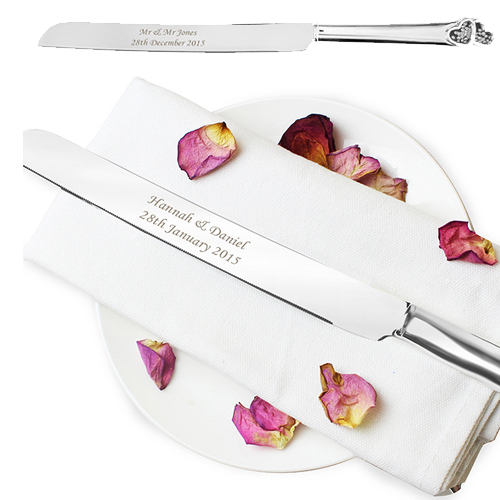 Personalisation is engraved on the blade of the knife, handle features two heart design with floating crystals. Cake Knife comes presented in a silk lined presentation box. Ideal for Wedding presents, Engagement gifts. Personalise with any message over 2 lines and up to 30 characters per line.